Shape Tape is the only concealer you see these days, it is all over youtube, instagram and now the TV. 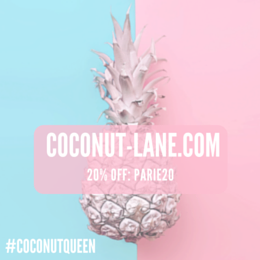 If you missed my post the other week all about the amazing Tarte set that I grabbed from QVC then you will not know that QVC now stock Tarte! The best thing isn't even that, the best thing is that they have an easy pay method, where you pay in instalments. A tiny little bit every month, rather than all in one go - how genius! I've been using this very talked about concealer for about three weeks and it is time to report on how it has lived up to the hype. 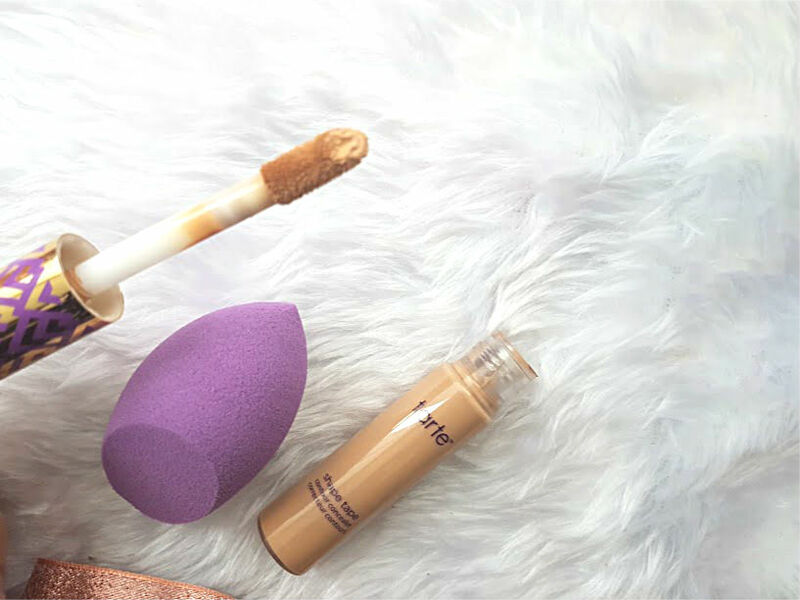 So, Tarte officially calls his concealer the double duty, beauty shape tape contour concealer. A mouthful right but this pretty much gives us a hint about how it is meant to be used. One use is for concealing and the other is for contouring/ highligthing. I only have one shade, which is perfect to use on my skin as a highlight and under my eyes. One shade darker would be perfect for breakouts and two darker shades for contouring. 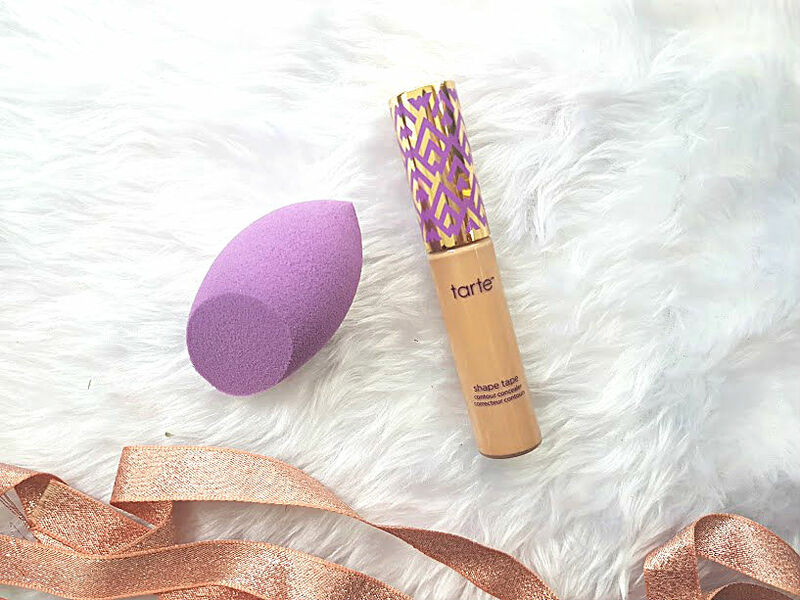 Tarte claims that this product is long lasting, hydrating and provides you with a natural yet radiant coverage. I love that it can be used in so many different ways and on different parts of the skin but you need more than one, just having one shade isn't enough to do all of the things they say you can. Two words. Hell Yes. I think I am in love with this concealer. The wand at first scared me a little, its huge! But the dofer applicator is very soft and glides on to the skin like a dream, it also helps to control the amount of product you apply. I take a little under the eye, down my nose, on my chin and in the centre of my forehead. These are the areas on my skin that are dull and need brightening, this concealer does exactly that. It is very full coverage hence why you only need a little bit, the formula is also very lightweight so even though the coverage is intense the feel of it is next to nothing. I've tried using this on acne scarring too and even though it is ever so slightly light it covers everything. Under the eyes you don't get any creasing throughout the day and everywhere else it sits in place, with no dryness or flaking on the skin. Tarte have really nailed the formula on this one, the bottle could be less bulky. There is no need for such a chunky bottle or huge applicator. But for someone who goes through so much concealer because of the coverage you get, this is perfect. Again, two words. Hell Yes. The formula is creamy, blendable and lightweight. The coverage is incredible, that incredible that I squeal every time I apply this concealer. The packaging could be better but the fact that it lasts, doesn't cake and looks flawless makes you forget the fact that there is unnecessary packaging. If you've been wanting to try this concealer, then I urge you to try it as soon as you can. QVC seem to be selling out pretty fast but their site has them in stock, just the shipping is a pain. Can you tell I am in love?! p.s sorry for the lengthy post, had to get everything down! !